In the ’80s and early ’90s, Hong Kong’s star-rich cinema was one of the most fascinating, fully evolved of national cinemas. Orgiastic violence and radical shifts from humor to romance to tragedy coexisted easily with themes of loyalty and humility in narratively rich films. Drawing equally from western and eastern models, these works spanned every genre, from classic ghost stories (Mr. Vampire) and historical epics (Once Upon a Time in China) to low-brow comedies (Wheels on Meals) and blood-drenched gangster movies (practically anything by Woo or Ringo Lam). Lately, an almost palpable atmospheric dread has descended on Hong Kong films, due in part to China’s pending takeover of its former colony from Britain. Fearful of losing cultural freedom and perhaps the ability to continue working, key players before and behind the camera have emigrated to the West or retired. Those who’ve remained are working under the threat of vast upheaval and repression, a notion that China has done little to counter. One of the loyalists – at least for now – is Patrick Leung, John Woo’s assistant for the last decade who recently moved into directing with the uneven boxing drama Somebody Up There Likes Me. In his second film, Beyond Hypothermia, Leung plays to his considerable strengths – taut visuals, moody mise-en-scene, and a snappy plot. His characters’ narrow lives show the limited range of responses available in a culture faced with potentially apocalyptic change. 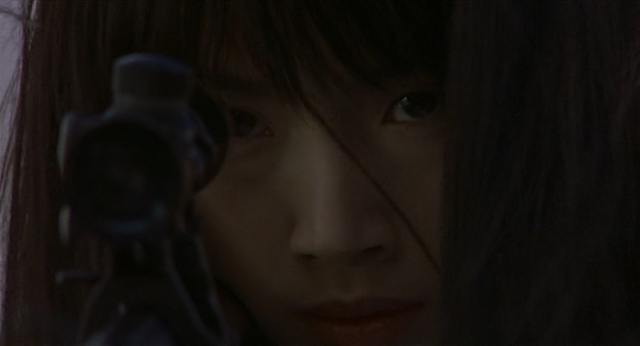 From the beginning, Leung sketches a noirish world of cool detachment, evoked literally in the opening scenes of Shu Li Fan retrieving a gun hidden in a block of ice in a dark, empty warehouse. Redemptive elements – family, friendship, love – exist only in shadow form, and attempts to connect are violently rejected, as when Mei tries to seduce the young woman she’s so expertly trained with an unexpected, and unwanted, caress. Shu Li Fan makes pathetic attempts to construct an identity where none seems to exist by snapping polaroids of herself, examining them briefly, then burning them. Even the Korean hitman, whose fiancé and family appear briefly, is a mysterious figure defined only by his vicious murders. In John Woo’s classic The Killer (1989) there’s a scene in which a little girl is kidnapped; in spite of the tension, it’s somehow understood that she’ll survive. 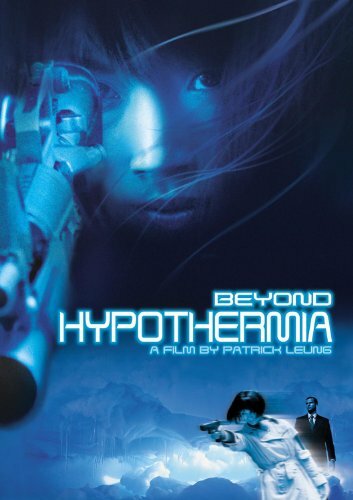 In Beyond Hypothermia, a little girl crouches in a car, the lone, terrified witness to one of Shu Li Fan’s murders. The killer sees her and hesitates, indicating a turning point not only in her own life but in the future of her culture. 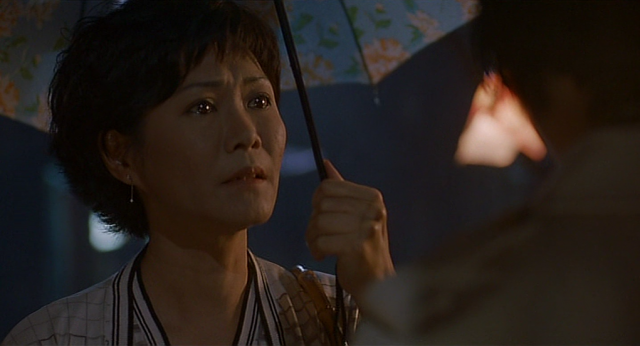 But much more than time has passed between The Killer and this film, and Shu Li Fan methodically shoots the girl, an unsettling act that Leung immediately poeticizes with the simple, startling image of cotton candy rolling slowly through a pool of blood.